Berlin/Karlsruhe, July 2017. From 26 to 28 September 2017, the international UAV sector will be demonstrating its potential at INTERAERIAL SOLUTIONS in Berlin. Europe’s largest drone show will form part of INTERGEO, the world’s leading trade fair for geodesy, geoinformation and land management. 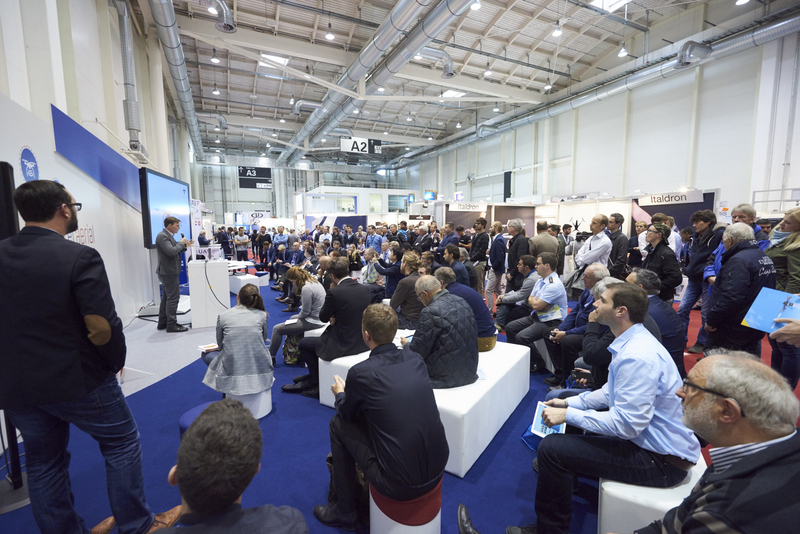 IASEXPO has the clear aspiration of becoming established as the number one industry gathering for commercial and civil drone applications in Europe. The news is just out that the IASEXPO practical forum will cover the very latest topics and feature renowned experts, an international outlook and direct practical relevance. Visitors don’t have to walk far to switch back and forth between market overviews and expert presentations on user-group-targeted clusters of topics. The aim is to efficiently combine trade fair and talks. As Germany’s drone regulations come into force this year, the legal aspects of using and operating this kind of equipment forms a key focus of the IASEXPO practical forum. Multicopters and drones weighing more than two kilograms can now only be flown by someone who holds a “drone driving licence”. The regional aviation authorities require would-be pilots to demonstrate their knowledge of operating UAVs. Frank Wichert from procow will explain these requirements in detail and reveal the precise procedure that pilots must follow. Incidentally, pilots can take the drone licence test during their visit to the trade fair. Dr. Ulrich Dieckert, a lawyer from the law firm Dieckert Recht und Steuern, is an expert on the aviation authorities’ approval process. He specializes in the numerous exceptions to the operating bans that currently hinder drone pilots’ workDon’t miss our early-bird discount!